Over the past years our annual walk has been a great success, proving that Paws in the Park is the place to be this summer! This year the walk will again be one of our major fundraising events. 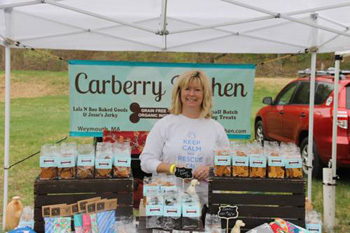 The event will be held outdoors, at the Wayside Inn in Sudbury, MA from 10:00AM to 3:00PM on Sunday, May 5th, 2019. 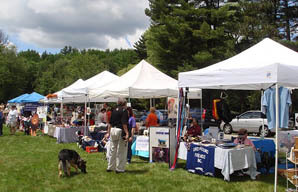 With the field size, we will be able to offer space for a larger number of vendors and rescues groups. We will start the day off with our group walk at 11:00AM. The activities include an agility ring, demonstrations, parade of adoptable dogs, doggie games, face painting for the kids, a silent auction, raffles, vendors and more. We also had over 60 dog rescue groups and commercial exhibitors in attendance last year. The event will attract many people from the greater Boston and the Metro west area who have adopted from Save A Dog as well as people currently looking for a new dog companion and local dog owners enjoying a fun day out with their dogs! The event will be advertised on the internet as well as in many newspapers and on the radio stations that have chosen to sponsor us this year. These sponsorships are designed to afford companies an opportunity to interact with the community in a positive, upbeat venue. This is an opportunity to promote teamwork within your company in a non-work setting. Your staff and their families have an enjoyable time while working for a specific goal of helping a local non-profit. 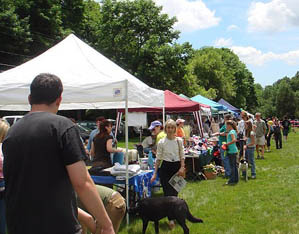 Companies that choose to participate are given their own booth to staff and decorate with company products (upon approval of the Paws in the Park Committee). Your staff is allowed to wear company clothing to aid with marketing your organization. Participating companies have found that it is a great way to promote themselves within their community with a limited investment of time, money, and effort. Please review some of the available sponsorships and see how you and your company can help support Paws In The Park 2019. We also gladly welcome in-kind gifts to help alleviate some of the expenses we incur for Paws in the Park (i.e. printing, media promotions, silent auction items, prizes for teams & individuals who raise the most money, etc.) If you think your company may be able to help us by donating a service or item, please contact one of our Paws Committee members at paws@saveadog.org. If you have any questions please don't hesitate to contact us at paws@saveadog.org. Please send your check made out to Save A Dog for the appropriate sponsor level before April 23rd, 2019 to Save A Dog, 604 Boston Post Road, Sudbury, MA 01776. Or you can use PayPal. A Diamond Sponsor receives the following: Your company logo on our home page (which gets up to 6,000 hit per day), a full page ad in our Paws program. (The first Diamond sponsor to sign up will have their ad on the back of our program), your company name mentioned in our Press Releases, on our website, and listed in the program and on the map. We will promote your company in at least 3 announcements at the event, and you receive a Double Booth Space totaling 10' x 20'. A Gold Sponsor receives the following: A half page ad in the program, your company link on our website and listed in the program and on the map, mentioned in an announcement at the event, and Booth Space 10' x 10'. A Silver sponsor receives the following: A 1/4 page ad in the program, Your company link on our website, listed in the program and on the map, mentioned in an announcement at the event, and Booth Space (10' x 10'). A Bronze Sponsor receives the following: Your company link on our website, listed in the program and on the map, mentioned in an announcement at the event, and Booth Space (10' x 10'). This discounted vendor level is only available to [501(c)3] Non-Profit Organizations (with a budget under $500,000) other than Rescue Groups. A Non-Profit receives the following: Your company name listed in the program and on the map, listed on our website, mentioned in an announcement at the event, and Booth Space (10' x 10'). Dog and Cat Rescue groups with a [501(c)3] Non-Profit status, you have your own sign up page. Please go to http://www.saveadog.org/paws2019-rescues.asp to sign up. Save A Dog is an all volunteer non-profit [501(c)3], humane society whose focus is rescuing and re-homing abandoned dogs. Since our inception in 1999 we have placed over 6000 dogs to wonderful families in the New England area. Save A Dog is thrilled to be able to host an event where dog lovers can meet and have fun, while raising money to save the lives of more homeless dogs. We would be very pleased to have you join us this year! You will have a 10 x 10 space. PLEASE bring an EZ-up tent for shade - you will need it! Bring your own table/booth/chairs, etc. Sponsors/Vendors will be prominently placed between Rescue groups and our demonstration rings. All vendors must pre-register by April 28th; early birds who notify us by April 23rd will be listed in our program.